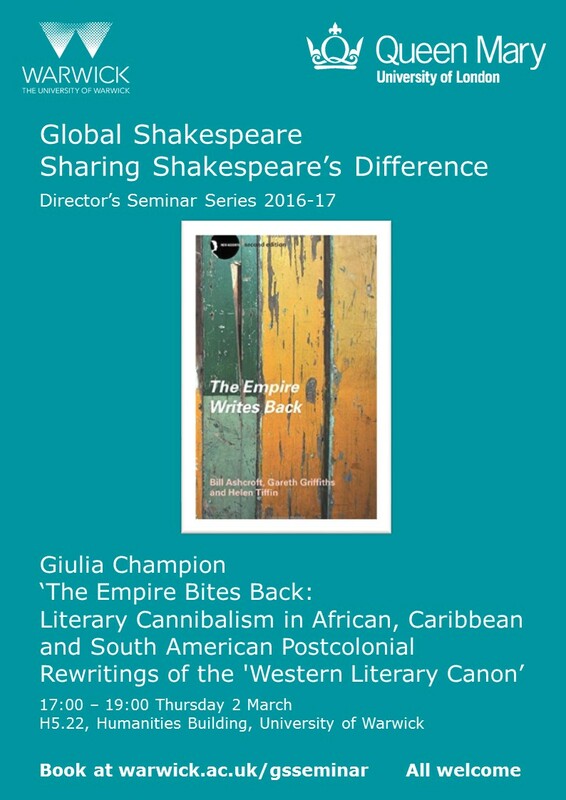 My research focuses on postcolonial environmental studies and looks at literature from former British, French, Portuguese and Spanish colonies in most of the Caribbean and parts of Latin America and Africa, which aims to challenge the "colonial historical archive" by rewriting cultural productions through the technique of "literary cannibalism". This is done by displacing cannibalism as an act of savagery projected onto former colonial people to its use to identify and expose the consumption and exploitation of people and land by European and North American colonial and imperial powers. 2019: "Ecopocalyptic Visions in Haitian and Mexican Landscapes of Exploitation" in Ethical Futures and Global Science Fiction, edited by Andrew Milner, Zachary Kendal, Aisling Smith and Giulia Champion, Palgrave Macmillan, Global Science Fiction Series, Forthcoming. 2017: "Deconstructing Caliban’s Genealogy of Otherness in Aimé Césaire’s Une Tempête: The Figuration of the Barbarian, Wild Man and Cannibal in the Western Literary Canon" in Subjects Barbarous, Monstrous, and Wild: In Literature, Art, and Contemporary Politics, ed. by Maria Boletsi and Tyler Sage, Thamyris/Intersecting series of Brill. 2018-2019: Co-Secretary and Treasurer for the PILAS (Postgraduates in Latin American Studies) 2019 Annual Conference. 2018-2019: Co-organising the English Department Thesis Reading Group with Sophie Shorland. 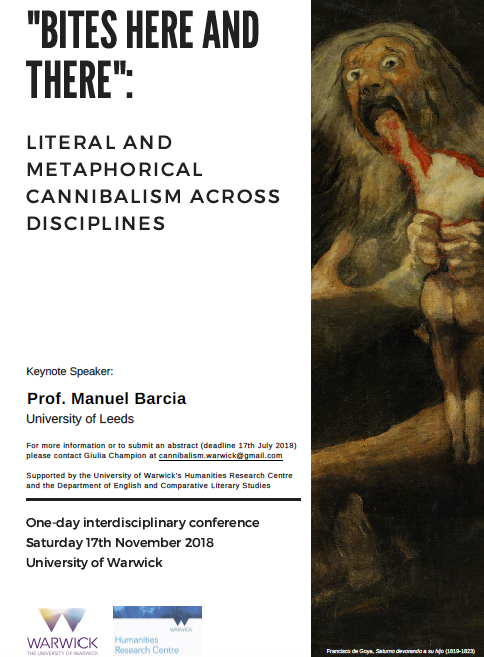 17th November 2018: Organiser of ""Bites Here and There": Literal and Metaphorical Cannibalism across Disciplines", a one-day interdisciplinary conference, to be held at the University of Warwick, funded by the Humanities Research Centre and the Department of English and Comparative Literary Studies. 24th May 2018: Part of the Organising Committee of the 14th Warwick English Postgraduate Symposium. 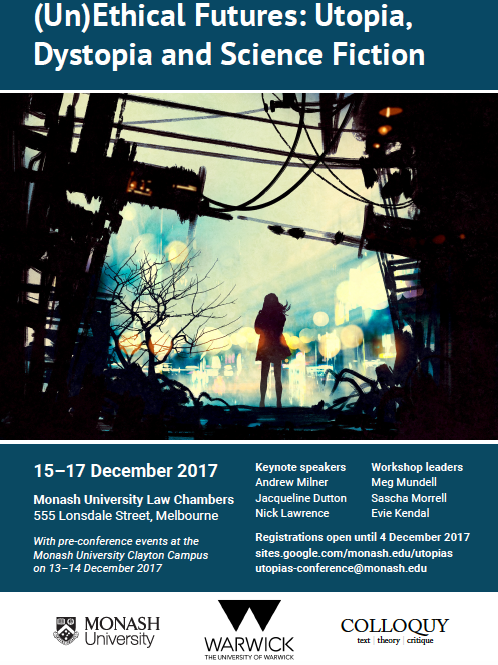 15th-17th December 2017: Part of the Organising Committee of the interdisciplinary conference: "(Un)Ethical Futures: Utopia, Dystopia and Science Fiction", in Melbourne, funded by the Monash/Warwick Alliance. 1st-5th July 2019: "Brazilian "Clifi": From Modernism to Contemporary Scifi". At "Utopia, Dystopia and Climate Change", 20th International Conference of the Utopian Studies Society, Europe, Monash University Prato Centre, Italy. 26th-30th June 2019: "And at the Beginning There was Waste: Depicting the Slum behind the Eco-Tourism Paradise in Fernando Contreras Castro's Única mirando al mar". At "Paradise on Fire", the 2019 Biennal Conference of the Association for the Study of Literature and Environment (ASLE), University of California Davis, USA. 5th-6th April 2019: "Consuming the Colonies: Capitalism, Literary Cannibalism and Rewriting History". At "Imaginarios económicos en la literatura y el cine de España y Latinoamérica", Symposium of the Spanish section of the Department of Languages and Literatures of Lehman College of the City University of New York, USA. 18th-20th October 2018: "The Zombie of the "Capitalocene": From Haiti to Environmental Crisis". At "Monstrosity and the Topography of Fear", the 2018 Meeting of the Society for Comparative Literature and the Arts, Sam Houston State University Woodlands Campus, Texas, USA. 19th-20th June 2018: ""Fact evaporates into myth": Caribbean Literary Dialogues Re-reading and Re-writing History". At ""Seamed by its own bitter juice": Voice, Visibility, Literacies" Conference, organised by the Centre for Caribbean and Diaspora Studies, Goldsmiths, University of London. Held at The Knowledge Centre, British Library, London, UK. 14th-15th June 2018: "Remembering and Narrating Latin American and Caribbean Violent Past and Present: Jorge Amado, Marlon James, Kettly Mars and Homero Aridjis". At "'La sangre echa raíces’: Institutional and Collective Memory of Violence in Latin America", at the University of York St. John, UK. 4th-5th June 2018: "Contesting the Cannibal Narrative". At PILAS (Postgraduates in Latin American Studies) 2019 Annual Conference, at the University of Liverpool, UK. 15th-17th December 2017: "(Un)Certain Futures and Pasts: Postcolonial Dystopic Narratives and Collective Memory." At "(Un)Ethical Futures: Utopia, Dystopia and Science Fiction", in Melbourne, Australia. 11th November 2017: "The Emergence of Britain as a Nation-State and the Uncanny Colony in Literature." At "Unforeseen Consequences: Literatures of Protest and Political Struggle", The British Comparative Literature Association Postgraduate Conference, University of Warwick, UK. 28th-30th September 2017: ""Remembering" Classical Antiquity and the construction of "post-colonial" identity in the Caribbean and Central America." 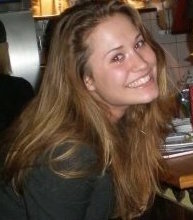 At "Classical Antiquity & Memory", University of Bonn, Germany. 6th-9th July 2017: "Criminalized Motherhood: Euripides' Medea re-examined through Cherríe Moraga’s The Hungry Woman: A Mexican Medea." At "Motherlines: Mothering, Motherhood, and Mothers In and Through the Generations: Theory, Narrative, Representation, Practice and Experience", hosted by the Motherhood Initiative for Research and Community and Involvement and UNESCO Child and Family Research Centre, at the National University of Ireland, Galway, Ireland. 20th June 2015: "The Barbarian and the Wild Man in Shakespeare's The Tempest and Aimé Césaire's adaptation Une Tempête". At "Barbarism: Conceptual History as a Task for Comparative Literature", one-day graduate students symposium organised by Dr. Maria Boletsi, at the University of Leiden, The Netherlands.